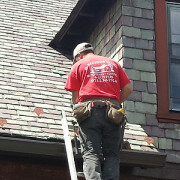 NJ's TRUSTED Commercial Roofer for over 13 years. 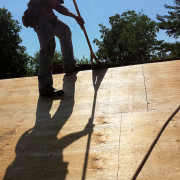 NJ's TRUSTED Commercial Roofing Contractors for over 13 Years! We understand the importance of time and reliability when it comes to your business and it's roof. It is our promise to work quickly and efficiently to minimize the disruption often associated with commercial roof installation and repair. 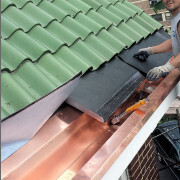 As commercial roofing contractors, we have installed roofs on restaurants, factories, retail stores, office buildings, condo and apartment complexes, schools and universities and churches. The exterior of your business is the first thing customers and clients will see. Aside from protecting your business, a new commercial roof can dramatically enhance its appearance. An attractive exterior exudes professionalism and entices potential customers. Our commercial roofing installers work with an array of materials and colors to perfectly compliment any style building. These include flat roofs, asphalt, wood, cedar shake, slate and commercial metal roofing options. Even more, we stand by our roofing with a 25 year to lifetime warranty. Let us build you a roof that will last as long as your business. 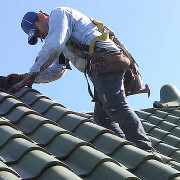 H. Recinos Roofing provides an exhaustive commercial roofing service from start to finish. We'll work with what you have or help you choose the perfect materials to capture the essence of your building. We'll remove the existing commercial roofing systems before beginning the roof framing process. Finally, we'll completely install and finish the new roof that will truly endure for decades. Have you noticed a leak or water staining? Don't hesitate and give us a call at 973-230-7924. 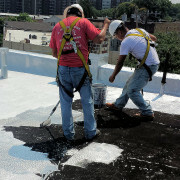 For urgent roof issues, we provide an emergency commercial roofing repair service. When disaster strikes, long-term solutions are too elaborate and time consuming. 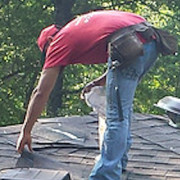 Our roofers instead implement tarps or temporary covers. Whether it be rain, wind or snow, we have you covered and will get your business up and running again. As your commercial roofing contractor, our goal is to employ our highest level of craftsmanship in building your business a roof it can count on. Local businesses throughout the area have trusted us with installing and repairing their commercial roofs. Call H. Recinos Roofing today at 973-230-7924 for reliable service at an affordable price and you will discover H. Recinos has your covered!